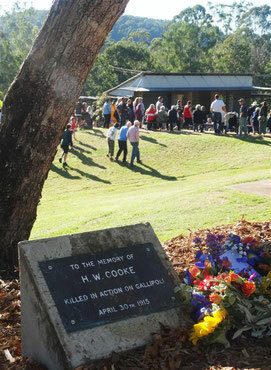 Herbert Cooke was a very early recruit only 60 or so days after war had been declared and was the first Eumundi casualty of WW1 when he died on the 30th of April 1914 at Gallipoli. On 22 December 1914 Herbert Cooke embarked from Melbourne on board the HMAT A40 Ceramic. 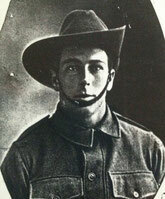 On 30 April 1915 aged 21 after landing at Anzac Cove he was killed in action with recorded injuries including a head wound. Private Cooke was buried at the Beach Cemetery Gallipoli Peninsula Turkey. He kept a diary in the pandemonium of fighting at Gallipoli was somehow returned to his father and later donated to the Australian War Memorial.